BETA Adult Large Breed With Turkey - 14kg. 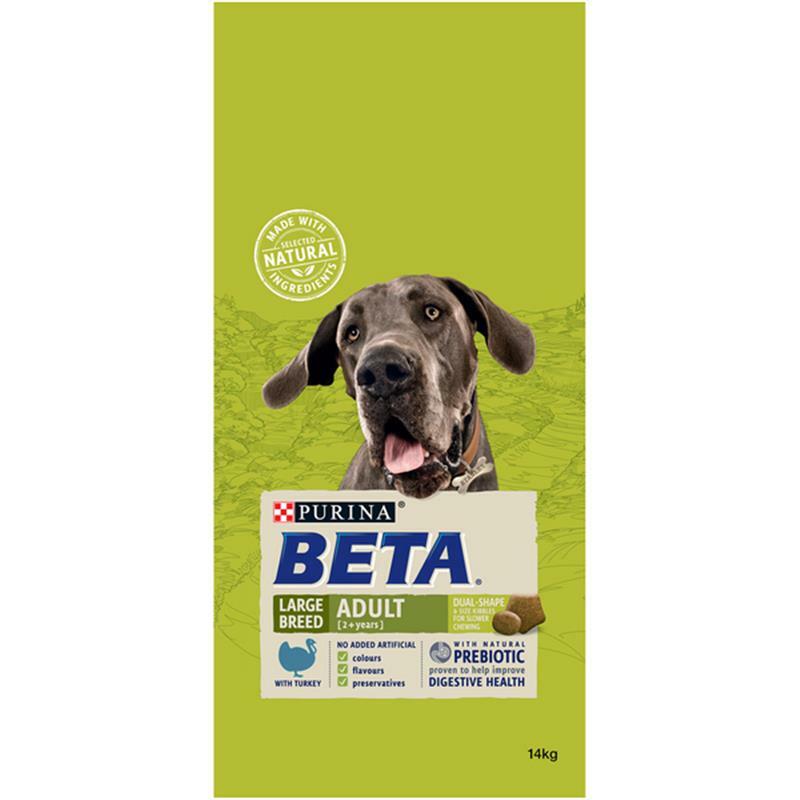 BETA 100% complete and balanced nutrition tailored for adult dogs of large breeds (>25kg adult weight) to support lean body mass and active mobility. Large breed adult dogs require specific levels of protein and fat to help keep them in lean condition. They also benefit from the addition of fish oil as a source of omega-3 fatty acids for joint health and active mobility. Omega 6 fatty acids and zinc help to maintain skin moisture and firmness for your large breed adult dog to maintain a healthy coat. So he is not only looking great but has the vitality to explore. Contains dual size kibbles for good oral health and designed to encourage the dog to chew the food.